Ceramics has been and will continue to be a quiet teacher for us. When we decided to start making ceramics together the idea of profession did not come to mind, and it's still wild to claim it as a day job. While culture and productivity beg for our attention, this practice invites us into its stillness and requires an atypical posture of being present. 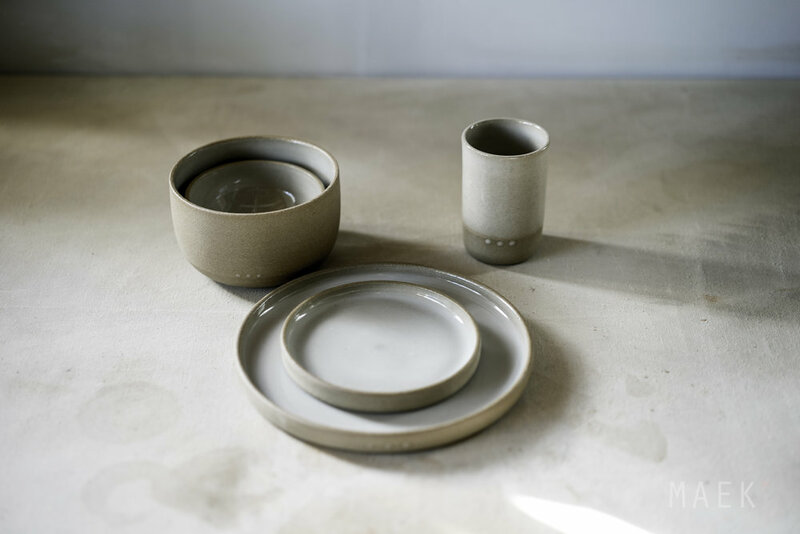 Ceramics is, in many ways, what we aspire to be like: it has been refined over time, it requires a consistent process, it is worlded, it is informed by its surroundings, and it has been formed by people. For us, clay has become a reliable model of how to approach the world, while simultaneously being our response.